Brad Binder Brno. 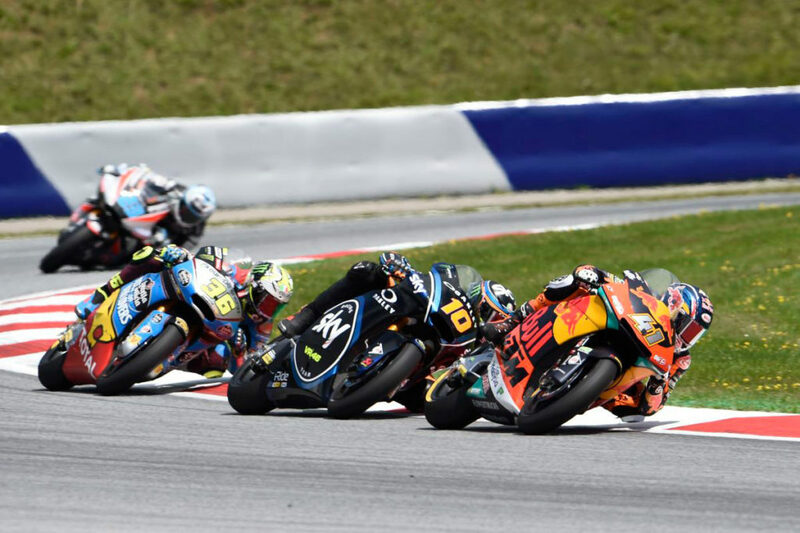 Local rider Brad Binder racing Moto 2 in Brno Czech. Brad Binder had a great first lap, entering the Top 5 after gaining 3 positions. The South African was in the second group, fighting for third position. The key moment of the race for Brad came with 4 laps remaining, when he was penalised for exceeding the track limits, had to give up a place, and lost valuable seconds. A final push allowed him to go up to sixth place by the time the chequered flag fell. In the rider standings Brad gains a position to move into fourth. The next Moto2 round takes place on August 26th at Silverstone in the UK.